PORTLAND, Ore. — Surprises can reach out and bite you at any moment … which is why they’re called “surprises,” yes? I got one today while having lunch with my oldest friend on the planet. It’s not that Dennis is old; it’s that we go back to the seventh grade at Parkrose Heights Junior High School when we first made each other’s acquaintance. We were 12 years of age. We would hook up time and again as kids and then we went to work at the same McDonald’s restaurant near our northeast Portland home. We worked for a gentleman who owned the franchise at that eatery. HIs name was Oliver Lund. He seemed to me — I was 16 when I started working there — to be an old man even then. Today at lunch, Dennis presented me with a community newspaper article about that very same Ollie Lund, who just retired — at the age of 88 — from the restaurant business. For 55 years he operated that particular McDonald’s and some others. Here’s what I learned upon reading that article. 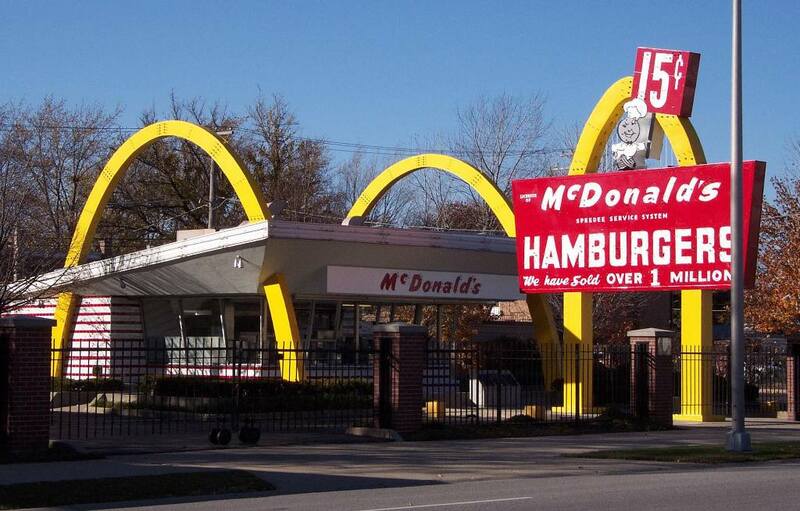 Our restaurant was the 117th such McDonald’s ever built in the United States of America. Think about that. One hundred seventeenth! How many of them are there now? Thousands of them! In the United States and around the world. Thousands, man! Ollie was among a group of Navy veterans who got together, pooled their money and bought these franchises. I started working at the McDonald’s in suburban northeast Portland on the day after my 16th birthday, which was in December 1965. My buddy Dennis started working there shortly after that. This was an amazing discovery today at lunch. First of all, I was sure that Ollie was 80-something when I worked for him back in the day; then again, when you’re 16 everyone older than, say, 30 looks to be in their 80s. What has kept Ollie going all these years? It had to be his positive outlook. He was a mentor who became our friend. I would leave for a couple of years after being inducted into the U.S. Army in 1968. I came back to work there after my two years in the Army and, yep, Ollie was still there. I didn’t work there for very long. I re-enrolled in school in late 1970 and got married the following September. Ollie came to our wedding. This is a bit timely as well, given that a new movie has just been released about the life and career of Ray Kroc, the founder of what became the McDonald’s chain. I am delighted to know this good man is still among us and is seemingly as vibrant today as he was in the old days.